Tupak Shakur was one of the first artists to perform again in a post-mortem performance in 2012. Since then, Michael Jackson, Buddy Holly, Roy Orbinson and many other deceased stars have managed to “perform” from the grave. Technological wizardry will now bring Maria Callas to life with a conjured performance on 13 April at the USC’s Bovard Auditorium, Los Angeles. Fans of the diva will see her reincarnated in a 105-minute long show where the holographic diva will be backed by a full, live orchestra. LA Opera President Christopher Koelsch first saw the performance, “Callas in Concert”, at UC Davis in September. As Callas performed arias by Puccini and Bellini, the audience reacted to her as though she were alive. They reacted to the performance as though a real person was on the stage. 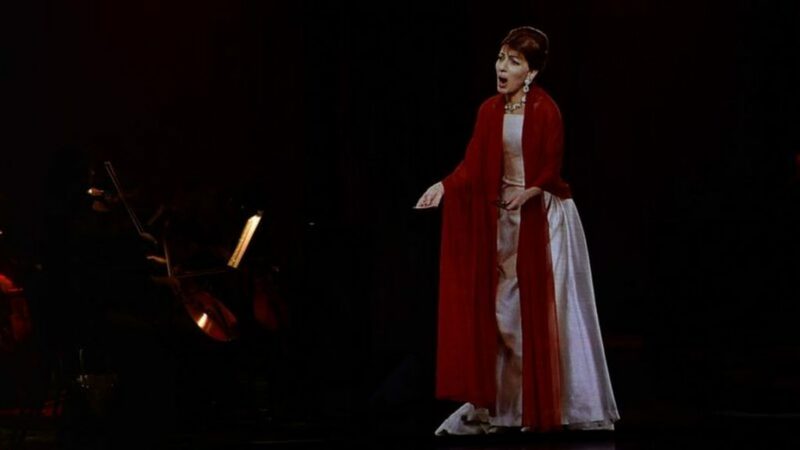 The new lease of life was given to Callas thanks by Base Hologram, a Base Enertainment Company, that worked on the performance for a year to help develop the show and reincarnate the diva. Base Chairman and Chief Executive Brian Becker states that the theatrical experience is similar to that of a real show and is authentic. Callas walks onto the stage and interacts with the orchestra and audience. It is more than just old footage. To make the evening-length performance as authentic as possible, Becker recruited Stephen Wadsworth, director of the opera studies program at Juilliard and head of dramatic studies in the Metropolitan Opera’s Lindemann Young Artist Development Program. Watsworth coached an actor to mimic Callas’ performance style and the way she moved and curtsied. This was recorded and then cinematic techniques were used to flesh out these movements into a holographic image of Callas with her own voice from master recordings. The goal was for modern audiences to manage to capture the feeling of Callas on stage and her charisma and passion as audiences experienced it when she was alive.